All of us, maybe with a few exceptions, are familiar with the phenomenon of Pokemon Go. Since its appearance in the main stores for smartphones (Apple and Android), this app has spread like wildfire around the globe. The mass media, along with new media, continue to bombard us with information about the game, with both positive and negative feedback. Even now, as I am writing, people keep talking about it. How can a videogame have so success? And then, which purpose does it have? To have a good time and enough? For those who do not know, Pokemon Go is nothing a simply videogame, but an augmented reality videogame. For augmented reality or computer-mediated reality, we refer to the enrichment of human sensory perception by means of information, typically handled and conveyed electronically, which would not be perceptible with the five senses. The items that increase the reality can be added with a mobile device such as a smartphone, with the use of a PC with a webcam or other sensors, with vision (for example projection goggles on the retina), listening (headphones) and manipulation (gloves) devices that add media information to a daily-basis perceived reality. In Virtual Reality (VR), usually the information added or subtracted electronically is overwhelming, to the point that people are immersed in a situation where natural perceptions of many of the five senses do not seem to even be present anymore and are replaced by others. However, in Augmented Reality (AR), one continue to live the common physical reality, but has additional or manipulated information about the reality itself. After all, the distinction between VR and AR is contrived: the mediated reality, in fact, can be considered as a continuum, in which VR and AR are adjacent and are not simply two opposite concepts. The augmented reality is nothing more than a mixed reality, born from the idea of merging virtual reality with actual locations. Although Pokemon Go is a distinctive video game, it remains, after all, a videogame. There are different and diversified types of video games, constantly subject to changes and upgrades. It would be too simplistic to think of the game only as a form of simple entertainment (Bittanti, 2004). By doing so, one may not understand its real meaning and value of its use. An increasing number of titles are used for educational purposes or in support of the learning processes. 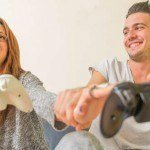 In addition video games that aim to the promotion of physical and psychological wellbeing of people are growing more and more. Violent video games, violent people. The video game as a tool to influence both the emotions and behavior. This conception states that the behaviors observed in video games and played by the users, can then be replayed in the reality. It entails negative consequences if we consider that many of the actions and attitudes found in videogames are morally objectionable or dangerous. A great example is given by the well known (especially by young gamers) Grand Theft Auto or GTA. Stop playing games and go out. The video game as something that isolates and makes people lazy. How often do we happen to be so entranced by what happens on the screen that we forget, even for long hours, all the rest? The game is seen as something that brings laziness, that forces you to stand still and that, in relation to it, may lead to misconducts on the alimentary, physical and hygienic point of view. It can also bring out the idea of a social withdrawal, almost as if you would prefer to relate to fictional characters of the game rather than real people. Much better a good book. The video game as a tool to detach from reality. This concept gives the game the dangerous ability to substitute the real experience, imprisoning the user in fantasy worlds that, in extreme cases, would one no longer be able to distinguish from the reality. What stated so far should not make us forget the existence of the other side of the coin of a video game. As mentioned at the beginning of the article there are even video games that, in the light of psychophysical, pedagogical and educational objectives, can positively influence people’s behavior. And this happens also thanks to their strong “persuasive” power. Messaggio pubblicitario The captology, and Wikipedia helps us here, is the study of computers (hardware and software) as persuasive technologies. This recent area of research explores the space between persuasion (influence, motivation, behavior change, and so on), and computer technology. This includes the design, research and analysis of interactive computing products, such as the Web, computer software, specialized devices, etc., created in order to change attitudes or behaviors of people. B.J. Fogg, Director of the persuasive technology lab at Stanford University, coined the term captology in 1996, derived from the acronym CAPT (Computers As Persuasive Technologies). The field of captology, where the art of persuasion and computer science overlap, is growing fast: every day new software applications, including web sites and mobile applications, are designed to change what people think and do. Social networks, such as Facebook and Twitter, are now powerful means of mass persuasion. Persuasion, in the sense of captology, refers to any attempt to provoke “intentionally”, through human-computer interaction, a given “volunteer” change in ideas and behaviors, without making use of deceit or coercion. In this sense, those changes that, despite occurring as a result of human-computer interaction, were not desired and intentionally planned by the designer, are excluded from captology’s investigation. 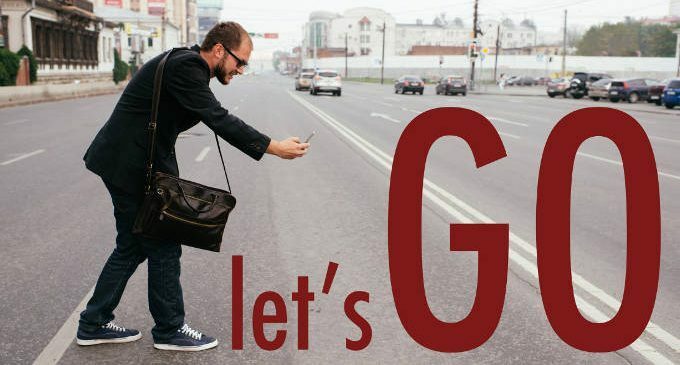 What about Pokemon Go with captology? Leaving the game aside for a moment, the mobile device provides a unique opportunity for persuasion. The smartphone remains in close contact with people all day long. This constant presence gives rise to two factors that contribute to creating opportunities for persuasion, which are defined by Fogg himself: the kairos factor (kairos indicates the appropriate time to send a message) and comfort factor. Mobile technology makes it easier to be able to intervene at the best time to persuade, and this because it is a type of technology designed to be always with you. The origin of kairos dates back to ancient Greece. The Greeks had two words to define the time: chronos and kairos. While chronos determine a sequential time, kairos refers to the right moment, an istant in which an event of significance happens. Fogg theorized about kairos that: “the portable systems of the future will be able to identify the appropriate time and will influence more effectively than they do today. When they will be able to know the user’s goal, his habits, location and activity of the time, these mobile systems will be able to determine when the subject is more prepared to be persuaded through forms of reminders, suggestions or simulation”. What stated may also be related to the product developed by Niantic, the software development company based in San Francisco, California. Too many factors confirm the presence of the principle of kairos in Pokemon Go. One for all, perhaps the most obvious (and for some, however, will not be so easy to understand) is to suddenly see a Pokemon coming out in front of you during your own research. The tip given by the appearance of the imaginary creatures as we explore the different territorial areas is in effect part of kairos. As a result, you increase the persuasive power of the game. Remaining on the subject of kairos, there are other important aspects worth noting in Pokemon Go. For examples there are the messages that appear when the GPS signal is not detected, the detection of our virtual person on the “map” while we’re playing. We can then observe that, after downloading the game on an Apple device, we are asked to accept notifications. The warning that appears is as follows: Pokemon Go would like to send you notifications. Notifications may include warnings, sounds, badge configurable icons in settings. All these signals and devices increase persuasion, in our case, of the augmented reality in the videogame. After kairos, another element to consider is the comfort factor. Mobile technology facilitates the interaction between man and machine, further heightening the potential for persuasion. The mobile device is virtually always at hand and responds immediately, without long waiting times (barring unforeseen circumstances due to hardware or software technology) to upload or download information. Other factors support this principle; they relate to Pokemon Go, confirming what said before. These factors are defined as the principle of mobile simplicity, the principle of social confrontation and the principle of competition. The principle of mobile simplicity, briefly, states that any application, if easy to use, will have a greater persuasive potential. The principle of social comparison instead emphasizes how people will be more motivated to keep a certain behavior if they can compare their performance with that of others, especially with that of others like themselves. Finally, the principle of competition addresses how information technology can motivate customers to adopt a certain attitude or behavior, taking advantage of the natural tendency of people to be competitive. How can these aspects be applied to the videogame? Well, if we reflect in retrospect, we can see that (apart from problems due to server down or difficulties related to the hardware of your mobile) interacting with the software of the Niantic is easy and immediate. Just literally one click to catch Pokemon and entering the game is very quick. Catching the Pokemon and collecting them all has become a goal that every player wants to accomplish and in doing so people tend to compete with other players. Eventually, to consolidate the competition, there is the comparison of the Pokedex. How many have you caught? How many have I caught myself? Every Pokemon is leveling up the players’ score, who can educate and empower the Pokémon for future battles. Future upgrades promised by the game developer’s House, such as the inclusion of new Pokémon (including the rare ones), will result in a significant increase in persuasions of the game. The captology behind the phenomenon of Niantic’s success, it is also confirmed not only by the theory, but also by facts and evidence. Such as the case of Tom Currie, a 24-year-old New Zealander who decided that his free hours were no longer enough. And for this reason he abandoned his job. Companies like SimilarWeb, born for data analysis, showed how the users of the game connect on average 33 minutes each day. Information recently circulated on the net by Sensor Tower confirmed that the level of total downloads of the application Niantic having only recently passed the touched 75 million share already. The title was also awarded the Niantic record of “fastest title” to have reached the threshold of 50 million downloads, well in advance of Color Switch, second application hosted in the ranking published by Sensor Tower. Closing the part regarding captology, I would try now, in terms of potential persuasion, to include Pokemon Go between the positive technologies. In the history of human-computer interaction, it is possible to identify a constant trend: making interaction with new media as close as possible to what each of us has within a real-world environment. This made the technological content as an experience, increasing its impact on people’s daily lives. In that way, however can this transformation be beneficial to people’s welfare? How can I use the experiential dimension of technology to promote the personal and social growth? The attempt to provide an answer to these questions comes from an emerging discipline, the Positive Technology (PT), which can be defined as “a scientific approach application that uses technology to change the characteristics of our personal experience-structuring increasing or replacing it with synthetic environments-in order to improve the quality of our personal experience, and to increase individuals, organizations and companies” (Riva, Banos, Botella, Wiederhold, & Gaggioli, 2012). In fact, the PT is based on various experiential technologies: smartphones and tablets, serious gaming, virtual reality and augmented reality. The positive psychology can suggest how to develop technological applications and systems that lead to positive emotions, promote personal growth and provide a contribution to social and cultural development. Martin Seligman, considered a pioneer of the movement of positive psychology, has identified three pillars of positive life in his book titled Authentic Happiness. The first pillar, called the pleasant life, is accessible through the involvement in fulfilling and satisfying activities and use of their abilities and talents. The second pillar, the engaged life, is accessible through the involvement in fulfilling and satisfying activities and use of their abilities and talents. The last pillar, know as the meaningful life is accessible through participation in activities aimed at broader objectives of individual ones. More recently, Seligman has introduced the PERMA, acronym of the five pillars of wellbeing: positive emotion, engagement, social relationships, meaning and realization (Seligman, 2002). In line with this perspective, Keyes and Lopez have proposed that positive operation is given by the combination of three high levels of well-being: the emotional, psychological and social levels (Keyes & Lopez, 2002). Starting from these thoughts, Positive Technology is divided into three different areas: the Hedonic technologies used to induce positive and pleasant experiences, the Eudemonic technologies used to assist individuals in achieving engaging and self-realizing experiences, the Interpersonal/Social technologies technologies used to assist and improve social inclusion and/or social connections between individuals, groups and organizations. An article in the July 14, 2016 Panorama.it gives us a hand in confirming what just stated. The article takes us back a reflection of Dr. John Grohol, an expert in the study of the impact of technology on human behavior, mental health and founder of Psych Central, a large network on the internet that contains researches, ideas, and supporting materials about mental disorders. Here is an excerpt of what is being reported: “…the challenge, for anyone who is depressed, is increasing the motivational levels to get out of the house, which, until then, are non-existent. We would need to go out and breathe some fresh air, maybe take a shower or a bath. They seem stupid things, but are extremely difficult to deal with for those who are anxious or depressed. Therefore, I think the impact of the game can really lead to substantial benefits”. Continue the same Grohol: “Science is very clear on this point: the more you do physical activity, the more you will lower the levels of depression. This is a very powerful tool, with a remarkable effect”. However, how then can Pokemon Go would help you get away from a mindset of apathy and despair? First of all, the app focuses heavily on interaction with the outside world more than focusing only on the character that one leads. In this way it encourages toward knowledge of buildings and historic sites (the so-called “Pokéstop“) and contact with other players on the map. In addition, the mere fact of having to come out to progress through the game is already a first step toward opening to the unknown outside that world that is so scary. Of course, it would not be correct to consider this game as a treatment for anxiety and depression, but it is definitely a good tool to give an impetus. A further example of the usefulness of video game, as a positive technology, comes from the story of C.S. Mott Children’s Hospital in the United States. In this children’s Hospital of Michigan, people are using a very special therapy, which have to do with the popular application. This application is in fact used as therapy at the children’s Hospital. The little patients have the opportunity to take advantage of Pokemon GO, running around in the trees in search of their favorite monsters. Children with a wide range of medical conditions (cancer patients, autism spectrum disorder and hyperlexia, etc..) are encouraged to use Pokemon within public spaces of the hospital. The use of the same application, although in rather unusual terms, is aimed at improving the conditions of children and socialize more easily. The movement, helps children from the physical point of view, not making the limbs atrophy, whereas, socializing with others, makes them feel less alone and ease anxiety and depression. There is still a positive global phenomenon in the contrivance of Niantic I want to talk about. This feature is related to future updates that are declared by John Hanke, CEO of Niantic (the company that together with Nintendo and The Pokemon Company has created the fun video game). Hanke, during the interview, focused on the interaction between coaches, declaring that, despite this feature is still not in use, it will be a central element of the game. Among the changes that will be introduced, as we have just said, there is the change of Pokemon, but this will not be the only feature to be introduced in future updates of Pokemon GO. The other novelty could cover the challenges between coaches, even outside the gym. In fact, the new Multiplayer mode of Pokemon GO, the other coaches might appear on the game map, and open a challenge. In this way, you can keep your Pokemon even when you are not in the gym. I am convinced that, as a psychologist, future upgrades as stated by CEO of Niantic, will contribute to increase emotional intelligence of its players. Self-awareness. The ability to recognize an emotion as it “happens” is the key to your EQ. Developing self-awareness requires tuning in to your true feelings. If you evaluate your emotions, you can manage them. Self-regulation. You often have little control over when you experience emotions. You can, however, use a number of techniques to alleviate and regulate negative emotions such as anger, anxiety or depression. Empathy. The ability to recognize how people feel is important to success in your life and career. The more skillful you are at discerning the feelings behind others’ signals the better you can control the signals you send them. Motivation. To motivate yourself for any achievement requires clear goals and a positive attitude. Achievement drive, commitment, initiative and optimism are the bases of motivation. Social skills. The development of good interpersonal skills is tantamount to success in your life and career. So, people skills are even more important now because you must possess a high EQ to better understand, empathize and negotiate with others. Emotional intelligence applied to this game will be due when, with the promised update from Niantic, people will be able to challenge individual players outside of gyms. Why saying this? The answer is very simple. With the new upgrade of the application there will indeed be duels between real coaches. During the fight, the player, without even realizing, will try to put himself in the shoes of his opponent to try to understand the game plan and why he chose that particular type of Pokemon. He will also try to understand what moves he will use it and how his opponent will behave. The game strategy to win against the opponents will, ultimately, develop the ability of mentalizing the player himself. This is, and remains, however, my inference. Only the time will confirm if what I am saying now will come true or not. In conclusion, the success of Pokemon Go is known to all. So successful, for better or for worse, will lead undoubtedly to a greater spread of augmented reality game. In addition to the continual upgrades that there will be in the future. 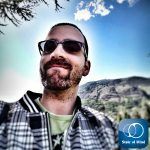 Quella strana sensazione… Il fenomeno Not Just Right Experience: quale relazione con il Disturbo Ossessivo Compulsivo?